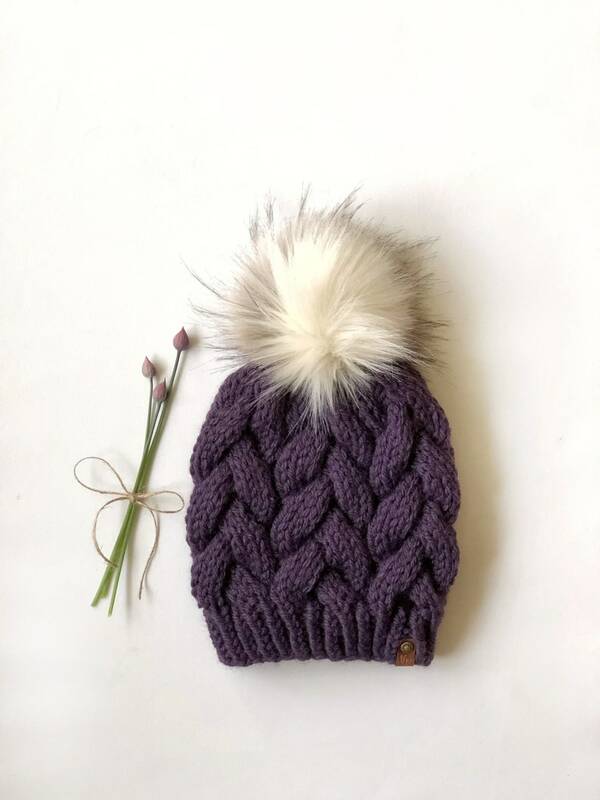 Hand knit fitted braided cable beanie with a 5” faux fur pom. Made with bulky yarn so it’s thick and super squishy! The faux fur pom is attached with a snap so that it can be removed if you need to wash the hat.